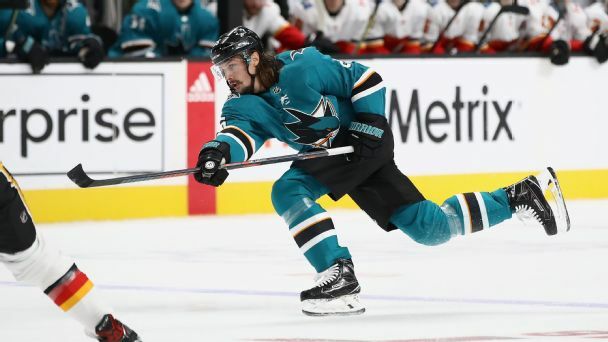 Vlasic (undisclosed) is a "possibility" for Game 5 against the Golden Knights on Thursday, Kevin Kurz of The Athletic reports. 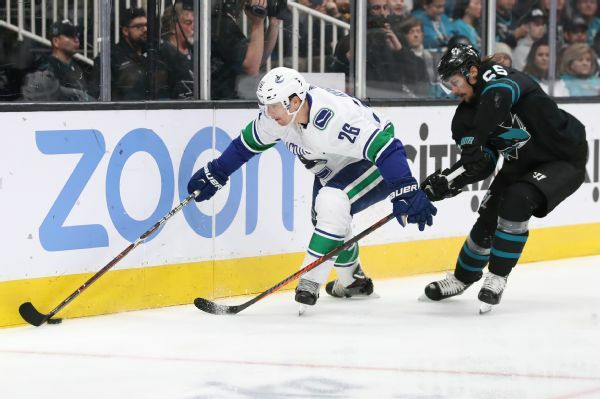 Canucks forward Antoine Roussel has been fined $5,000 -- the maximum allowable under the CBA -- for biting Sharks defenseman Marc-Edouard Vlasic during Friday's game. One year from now, the Winter Olympics will be on. But will NHL players be participating? 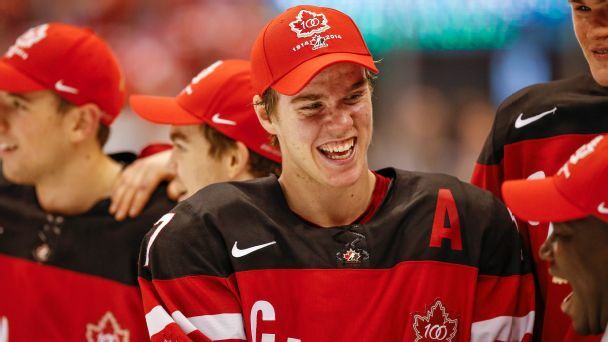 We're pretending they will be, so here's our projected roster for Team Canada. 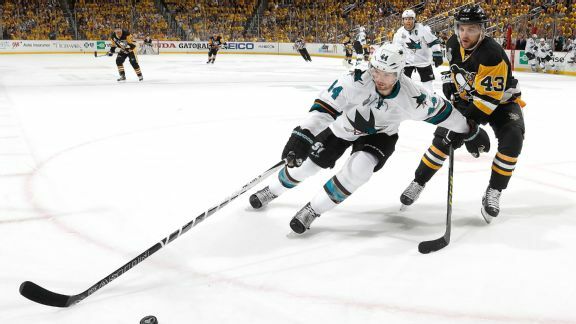 NHL history hasn't been kind to the Stanley Cup runner-up, but the stacked Sharks are primed for another deep run. 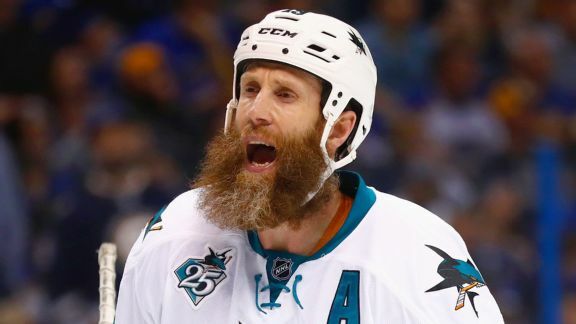 Will this be the season that Jumbo Joe Thornton finally hoists the Cup? 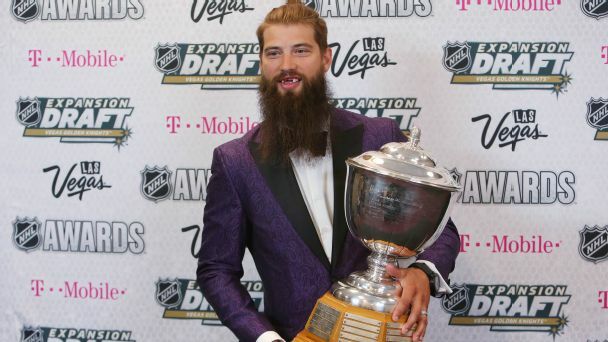 Rick DiPietro analyzes what the Sharks need to do in order to force a Game 7 in the Stanley Cup finals, as well as how the Penguins should approach Game 6 in order to clinch it all. 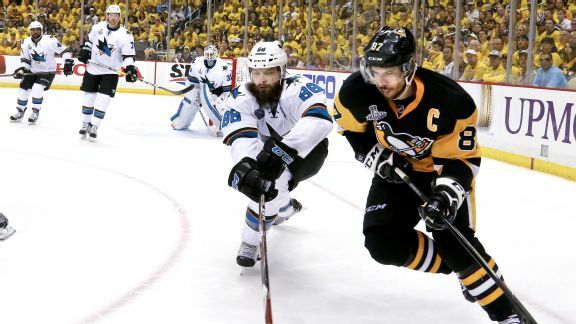 The last time the Sharks faced playoff elimination, they crushed the Predators 5-0. The Penguins expect San Jose to put up another tough fight tonight. 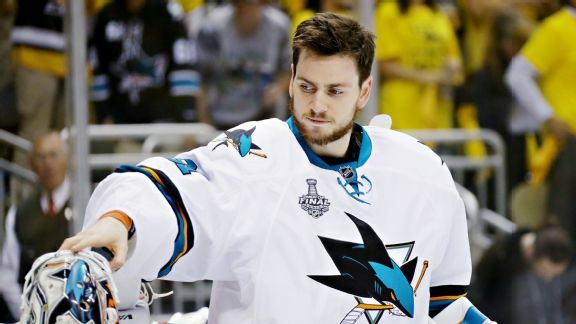 A former backup to Jonathan Quick, Martin Jones has come into his own as a starter in San Jose, and he has kept the Sharks within shouting distance in the Stanley Cup finals. 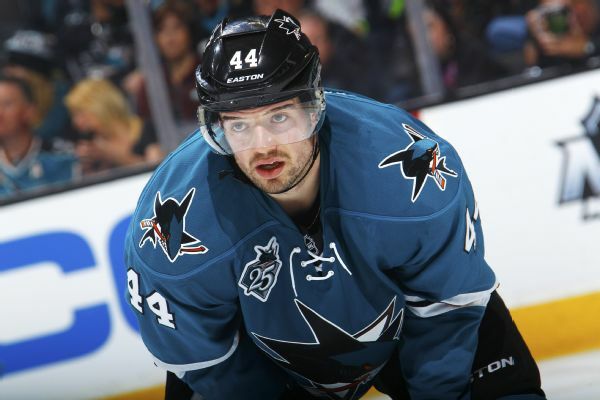 He might not be a household name or make flashy, highlight-reel plays, but Sharks defenseman Marc-Edouard Vlasic is doing all the little things right and holding his own against Sidney Crosby.